If Gov. Ralph Northam were to resign, Lt. Gov. 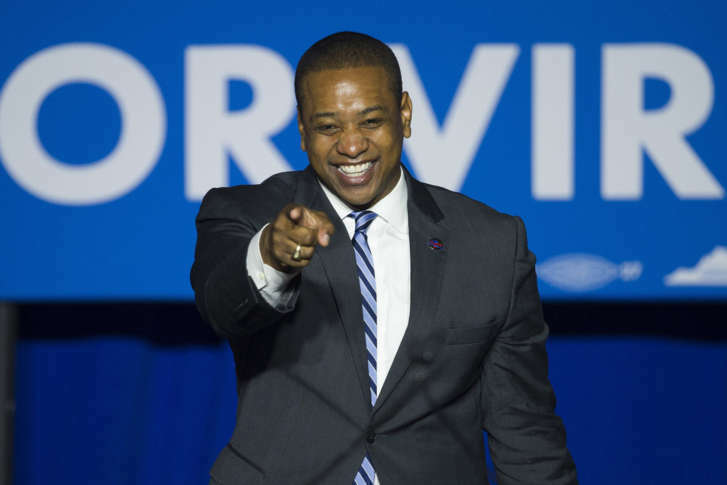 Justin Fairfax would become the commonwealth's 74th governor and the second black governor in the state's history. WASHINGTON — Virginia’s Lt. Gov. Justin Fairfax, who would become acting governor if Northam were to resign or be removed from office, has issued his statement regarding a racist 1984 photo in a medical school yearbook on Northam’s page. If Northam were to resign — though he has stated that he intends to stay on until the end of his term — 39-year-old Fairfax would become the commonwealth’s 74th governor and the second black governor in the state’s history after former Gov. Douglas Wilder. Fairfax issued a statement Saturday afternoon after Northam held a conference asking for forgiveness. Fairfax, who is a descendant of slaves and was raised in Northeast D.C., graduated from Duke University and Columbia Law School. Before becoming lieutenant governor, he worked for Tipper Gore during her husband Al Gore’s presidential campaign, and was a staffer in 2004 for then-Sen. John Edwards, a North Carolina Democrat. Fairfax also spent two years as a federal prosecutor in Alexandria. In 2013, he was awarded the National Bar Association’s “Nation’s Best Advocates Award,” according to his website. He was elected as Virginia’s lieutenant governor in 2017 after defeating Republican Jill Vogel. Fairfax is known for taking a more progressive economic stance than Northam and Attorney General Mark Herring. During his campaign, he stated that he would raise the minimum wage and advocated for more workforce training. Fairfax has opposed natural gas pipelines proposed in the past. In regards to gun laws, he hopes to ban high capacity magazines, bump stocks and assault-style rifles, as well as supports universal background checks. Fairfax also attacked Vogel for introducing a bill requiring transvaginal ultrasounds for women in order to have an abortion. The lieutenant governor post is considered a part-time job. Fairfax’s website says that “he currently works as a Litigation Partner … for international law firm Morrison & Foerster LLP.” He lives in Northern Virginia with his wife, Dr. W. Fairfax, DDS, and their son and daughter, Cameron and Carys. Even if Northam does not resign, as lieutenant governor, Fairfax will automatically become a contender for governor in 2021.